Alternatively, you may wish to consider a Basic Profile. 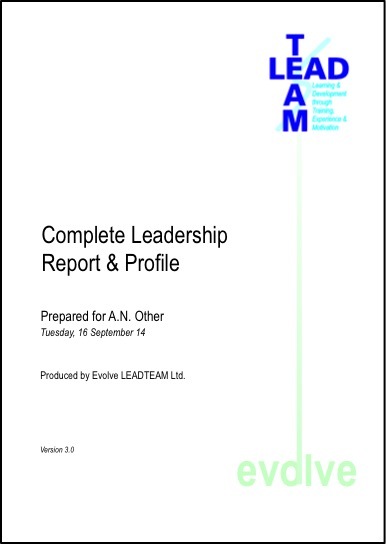 To get multiple Basic Team Leader Profiles, for use on a Training Course or for a Work Group, e-mail your requirements to complete-questionnaire@evolve-leadteam.co.uk. We will need to know how many questionnaires are to be submitted and the data by which you need to Leadership Reports and Profiles. To get an individual Basic Team Leader Profile, send an e-mail requesting a profile to complete-questionnaire@evolve-leadteam.co.uk.